I own 4 bags, 3 in the alvar style and 1 in bailey. Well made, durable, and lightweight. They are comfortable, not bulky. Plenty of room, well organized so I find things easily, which is so important to me. Hate complicated, multi divisioned compartments. I love the colors, they go with everything. I have thrown out all of my heavy leather bags. Will never consider another brand. Maybe another style. That's if these ever wear out, which I doubt. Love this purse. My last one was over 10 years old and I broke the zipper- my fault. 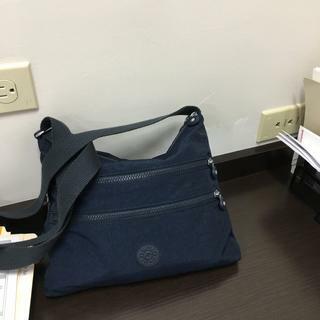 Great every day and travel purse. Best for everyday and perfect for travel. Get them in all colors. I have blue and res , so far. Had this bag for many years (15+) and the zipper broke(my fault!) so I needed new one. I like the size and compartments. Because I liked the one I previously had. The Alvar bag is very space efficient - compact but still with lots of storage options. Love the THREE zippered pockets outside and TWO full separate pockets inside! The best part is the weight - so light! You don't feel like you're hauling around a heaving bag. And love the material - indestructible. This will be my third one.